Pioneers in the industry, we offer drivers and controllers from India. 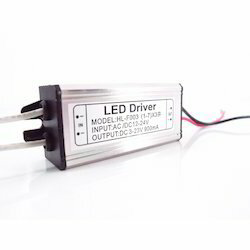 We are offering LED Driver at reasonable market costs. These are hugely appreciated in the market for their maintenance-free service life and seamless finishing. Our offered product is used in the market for many purposes. Moreover, we present these products to our customers after checking the quality of several industry stages.